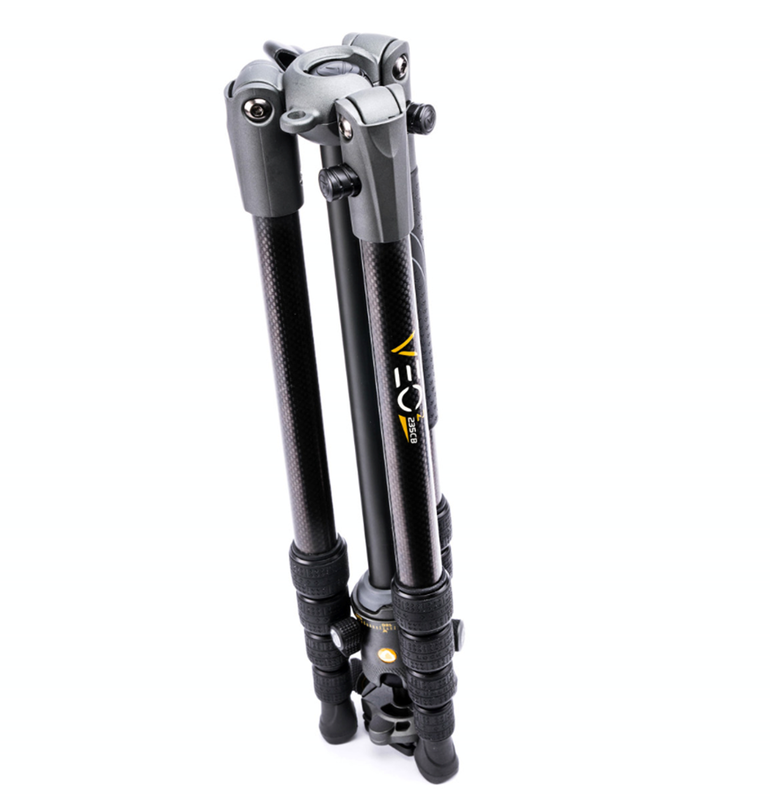 VEO 2 235CB is an easily portable and super lightweight, 23mm, 5 section Carbon Fiber travel tripod kit with a multi-action ball head that has a maximum work load of 6 kg / 13.2 lbs. It weighs only 1.2 kg / 2.6lbs and can be extended up to 145 cm / 57.1 inches. 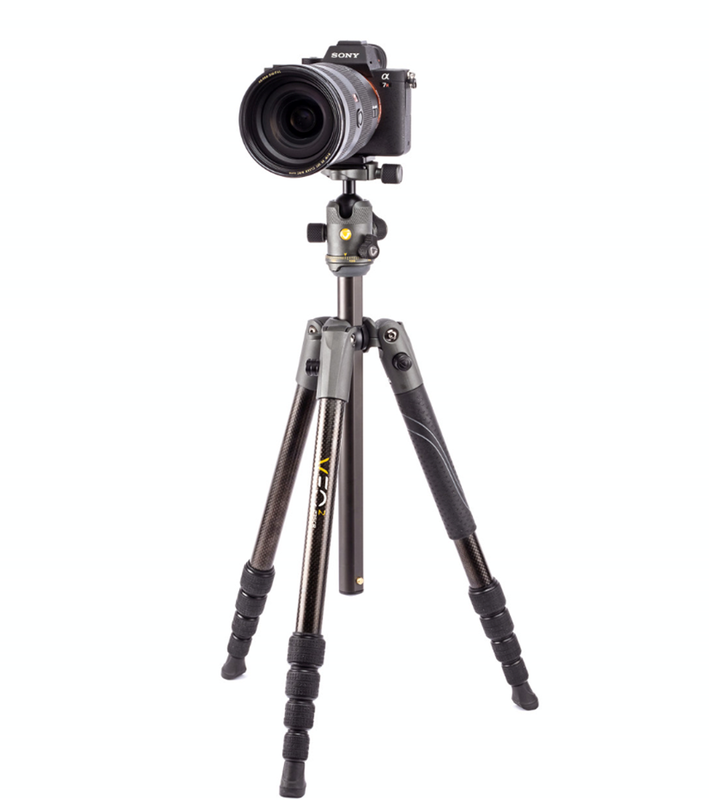 Independent Leg positioning at 3 different angles (20, 45, 80 degrees) for more versatility and possibilities to adapt to uneven terrain enabling you to shoot more creative pictures. Tripod bag with extension system to accommodate any size of standard heads. 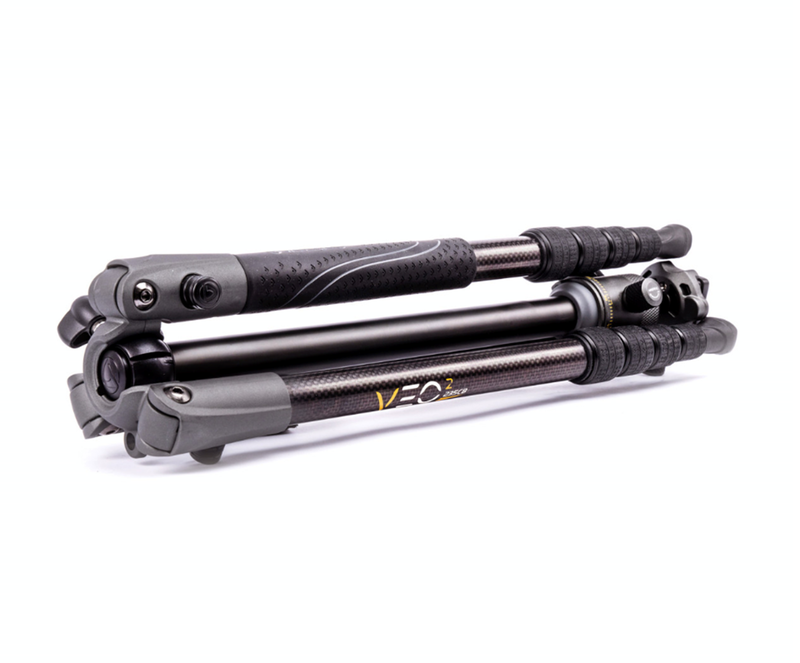 VEO 2 235CB features the exclusive & unique central column rotation system that allows you to setup the tripod in a snap of your fingers and also includes the new and advanced twist 1/4 turn lock unlock system for fast deployment and solid setting. 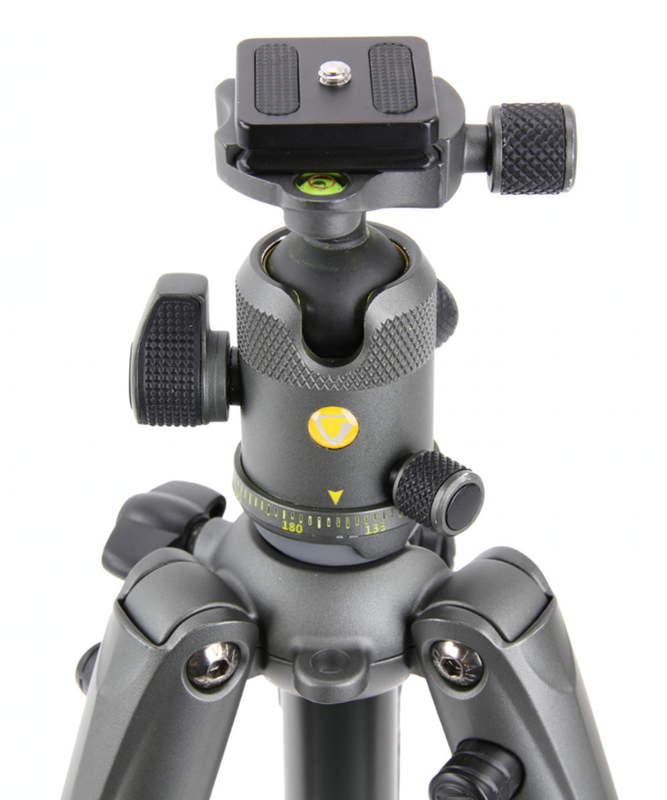 The VEO 2 BH-50 ball head operates perfectly with 3 independent dedicated knobs for lock, panning and friction control. Take it everywhere with you, set it up in matter of seconds, use the Advanced Engineering legs and twist locks systems with confidence while enjoying versatile creative positions. 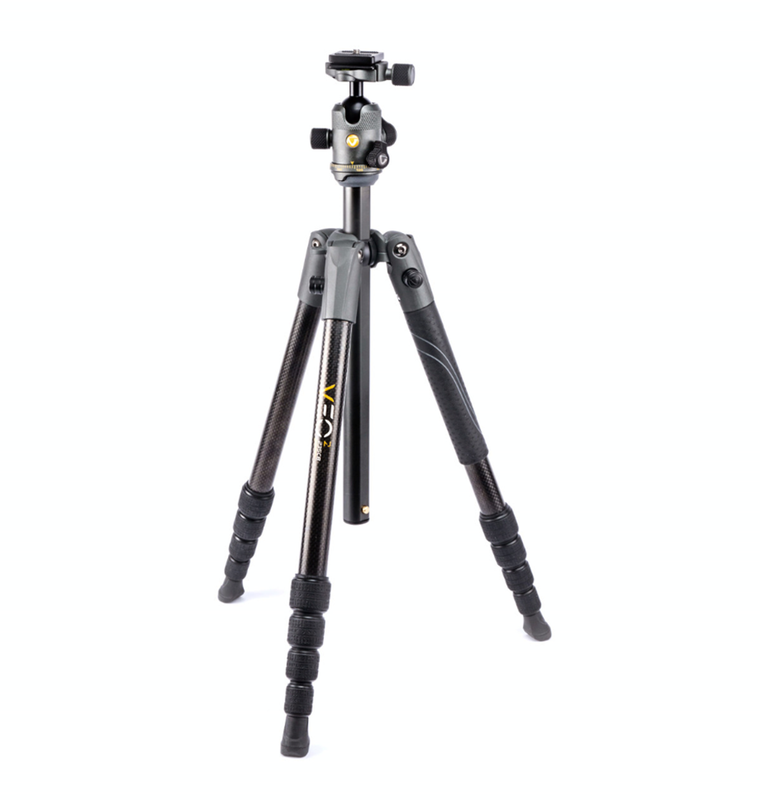 The VEO 2 235CB tripod has been thought to be your "best passport" for travel photography. 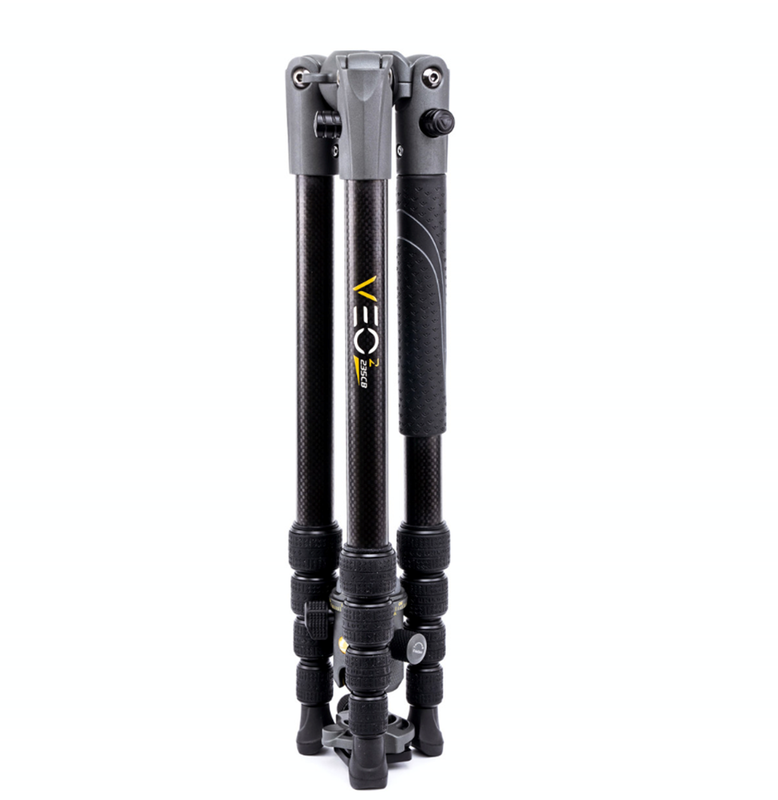 With a snap of the fingers, swing the VEO 2 central column into place, connect your camera and you're ready to shoot at a moment's notice. 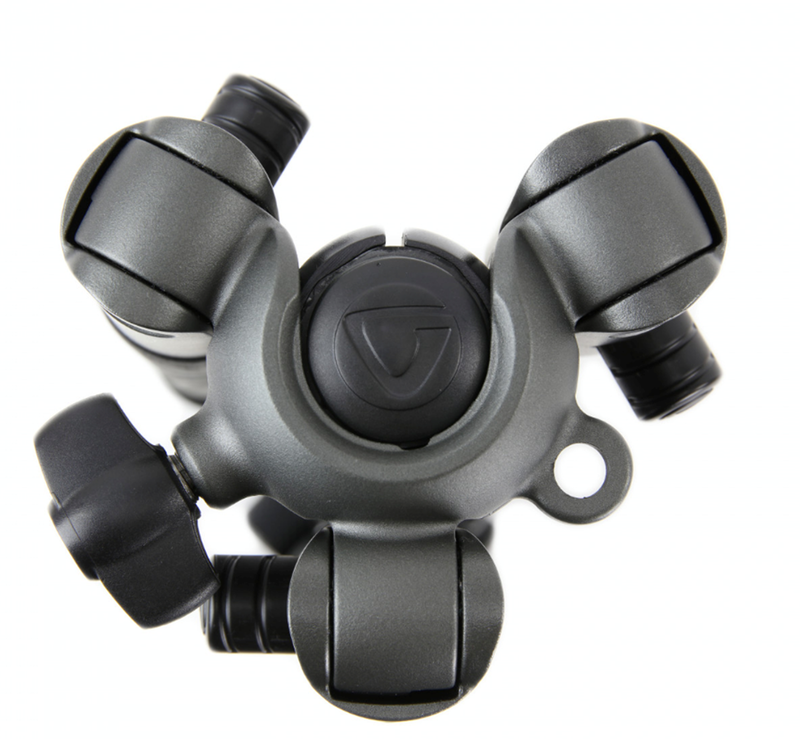 The VEO 2 BH-50 Multi-action Ball Head is sturdy and operates perfectly with 3 independent dedicated knobs for lock, panning and friction control. The Arca type compatible plate with 1/4" D-ring screw offers quick camera attachment and release. A stylish design with a soft rubber handle provides an unbeatable grip. 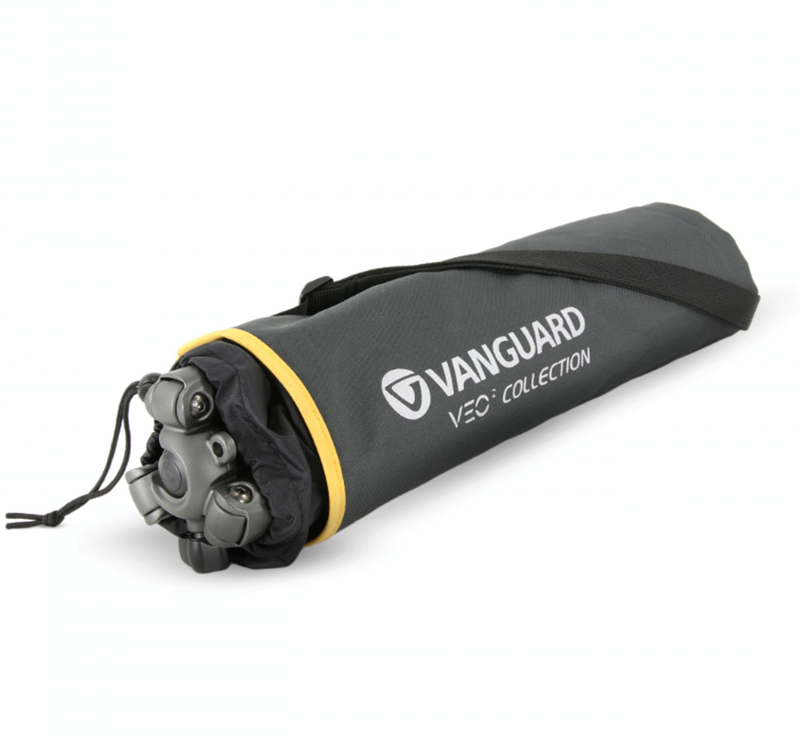 Use the included carrying tripod bag with shoulder strap when you are ready to go on your next photo adventure. Weight: 1.56 kg / 2.6 lbs. 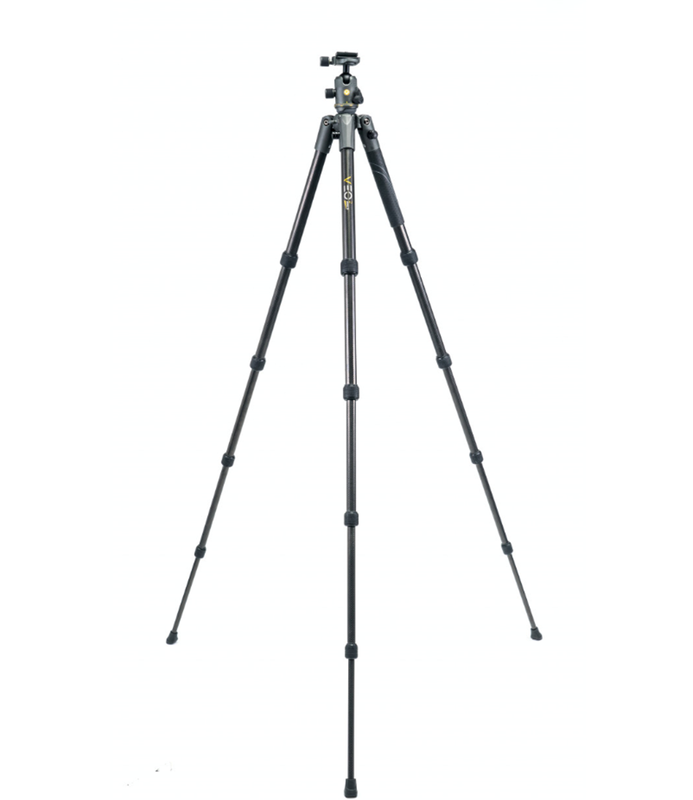 Extended height: 1450 mm / 57 in.